As you can see I am blogging daily now, at least am trying to do so for a week-long challenge at Write Tribe. Though I generally prefer to write at my own pace, I have learned that once in a while participating in such "daily writing" challenges can help me get some necessary practice and develop greater confidence in writing something substantive even under the pressure of a deadline. I hope I will make it through these 7 days. For this particular week-long challenge the only restriction the participants have is in the form of the different "type" of post they are asked to write for each day of the week. Other than that, participants are free to use that "type" to write anything of their choice as long as it fits within the day's type. And of course, there is plenty of room for interpreting the "type" itself. For the first day, we were asked to write a "List." And I wrote this. For the second day, the type was "Answer a question" to which my response was this post. Today, we are asked to write a review. In the past I have written about a few books and movies on this blog (for a few film-related posts, see here, here and here). In fact, my "list" post was also a sort of a review of the movie, Haider, though it can't be really categorized as a review. Somehow I am not really fond of writing reviews but prefer to present my interpretive or reflective take on books or movies that I find significant for some special reason. For this review post, I invite readers to revisit with me an old post of mine. Again, it is not really a review of a film, but an interpretive look at the set decor of the film. Surprised? Well, don't be. For the last few days I have been actively de-cluttering and re-organizing some of the spaces in my home. I have been mostly removing objects, simplifying things, and creating cleaner and lighter spaces. So it is not really a surprise for me that after eliminating many different ideas for this review post, I felt drawn to revisiting and revising this old post focusing on this very idea of de-cluttering. Since films are primarily a visual medium, a lot of thought and planning goes into planning, setting up and portrayal of the backdrop or background against which the film's characters play out their roles and become part of a story. In many ways, the visual backdrop becomes an integral part of the story's narrative because it sets the tone for the contexts and spaces in which the characters move, live out their parts and connect with one another. The star of this post is a Hindi film called Listen Amaya. With a stellar cast like Deepti Naval and Farooq Sheikh it sounded promising. I must add that I wasn't disappointed when I watched the film, it is actually quite interesting and different from the usual masala and formula films dished out by the Hindi film industry. The story-line is sensitive and delicate, though at times I felt that some parts were handled in a rather “filmy” and somewhat clichéd manner. But as I mentioned this is not really a critical review of the film. So the real star of the post is the visual backdrop of the film. 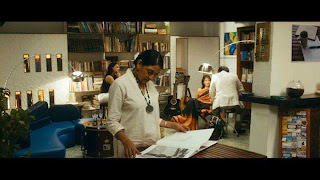 The opening credits of the film clearly mention that the whole set decor of the film was done by Fabindia, and obviously I was expecting a certain kind of visual sensibility and aesthetic appeal. And in a way it generated my curiosity about the film. In fact, the visual backdrop of the film was a key aspect of the film why a few people familiar with my taste in home decor and interior design had recommended the film in the first place. If you are familiar with Fabindia, you know that there is a specific visual appeal and characteristic to the whole range of their products. Personally speaking, I like that kind of aesthetic very much – the whole hand-woven, hand-made quality and look of fabrics, furnishings, combined with somewhat bold and rustic looking old-wood furniture and home accessories made of natural material and with an earthy-feel. Mostly, it is the Indian touch and feel of some of these products that appeals to me very much. But then sometimes too much of a good thing can also be....well, simply too much. That is at least how I felt when exposed to an overdose of all the Fabindia stuff in pretty much every shot of the film Listen Amaya. It sort of became a bit distracting and irritating to see an over-abundance of the “ethnic-chic-decorated” look. 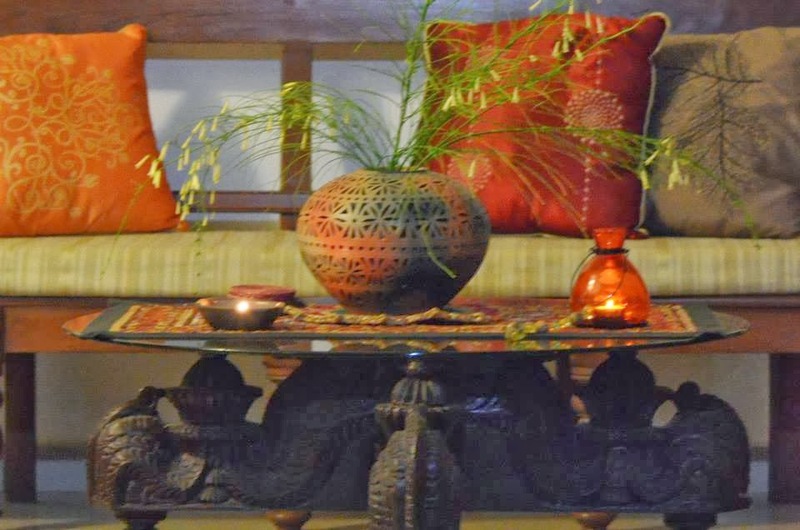 Since most of the film is shot in the interior locations (home settings such as living room, bedroom, kitchen, and coffee shop), there were plenty of occasions for the filmmakers to showcase the Fabindia style of home decor. And boy, did they use them all?! At times I was wondering if the filmmakers had ever heard of the word “restraint.” I mean, why zoom in so many times on the coasters and that serving tray? Perhaps it was the nature of their contract with Fabindia that compelled them to highlight everything in the set decor which was from Fabindia – from coffee mugs to serving trays to table coasters to kitchen utensils, from bookshelves to beds to chairs to sofa sets to wall decor to all other doo-dads that filled up the living spaces of the characters in the film. The result was that the spaces shown in the film felt artificial, crowded, stuffy and over done. At least for my taste they did. As much as I like the Fabindia style (though I will also admit I have perhaps only a couple of objects in my home that were purchased from Fabindia – I generally prefer more direct and local sources than a retail chain outlet) does it mean that I would want to live in a “Fabindia style” museum which doesn’t allow my eyes or mind any visual and spatial relief? Certainly NO. And after seeing this film's visual backdrop I have become a bit more aware of how I want my living spaces to look and feel. My style (if I can call it that) involves more of a mix-and-match of different looks and styles with an aim to create a somewhat cleaner, natural, balanced and minimally decorated look. A living space is not “decorated” by merely lining up all the products bought from your favourite store(s). 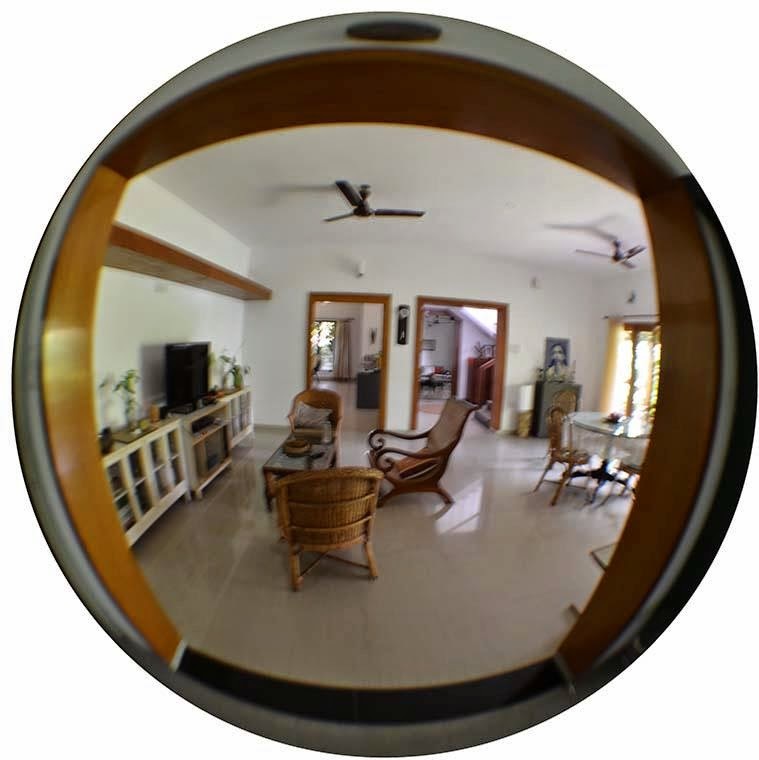 A beautiful and comfortable living space is put together over a period of time in a deliberate and thoughtful manner. And a conscious and deliberate process of creating a living space (whether it is a room or a corner of the room) includes not only the process of adding objects, but also eliminating and removing those objects that don’t fit in that space. Maybe that is another word – “remove” – which the set designers of Listen Amaya could have benefited from when planning the overall visual appeal of the film’s sets. Sometimes simply by removing a bit of the “stuff and fluff” and creating a visual relief can enhance the overall appeal of the space. But then all this is perhaps a subjective view. And others may feel very differently about everything I have said here. No issues there. Really! However, what is perhaps most relevant and worth remembering is that these ideas of restraint and removing the fluff are not just limited to creating harmonious living spaces on the outside. The same principles apply to the spaces inside of us, where we live when we are by ourselves. Our minds, our thoughts, our emotions, our real inner living spaces. How do we practice restraint there? How do we remove the extra “stuff and fluff” from there so that we have cleaner, more harmonious and beautifully balanced inner spaces in which we dwell? And this, I believe, is truly the key to a true “interior decor” – both of ourselves and our living spaces, of our inner and outer homes. This is the 200th post on this blog. 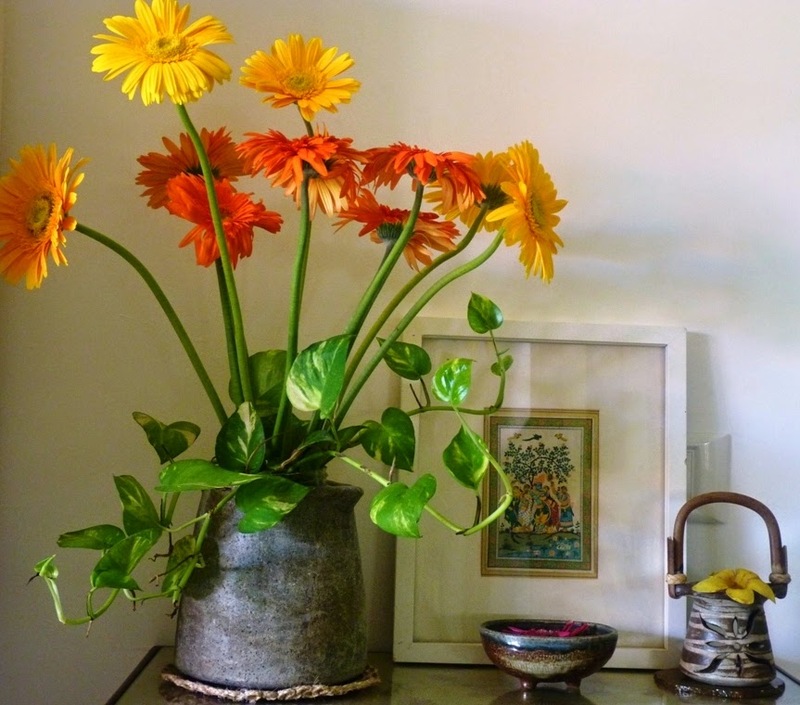 I am actually quite happy that it turned out to be the 200th post because the theme of de-cluttering, simplifying and cleaning up our outer and inner spaces is a perfect fit with the guiding spirit of this blog. To create beauty, to experience beauty we also need to remove the redundant, ignore the inessential, and eliminate the excessive. 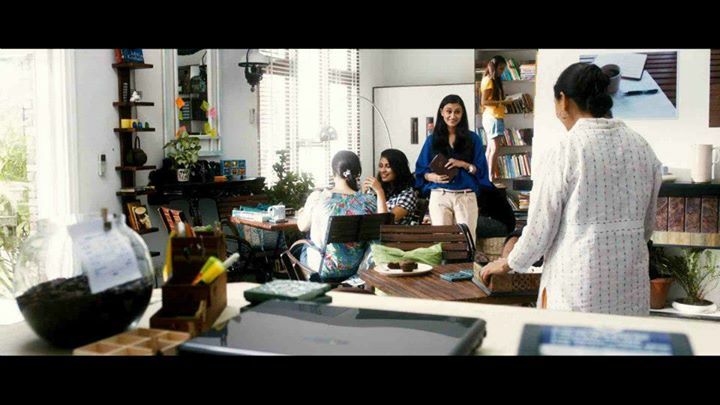 Picture credits: All stills from the film Listen Amaya are courtesy of Facebook page of Fabindia.